Nowadays more than 50% of the world’s population lives in cities, and this percentage will increase by 1.5 times in 30 years. We may thus safely say that life in urbanized areas has become the dominant mode of living. As a result urban development (i.e. the social, economic, cultural and physical development of cities) plays a crucial role in producing economic growth and realizing innovations. In the traditional paradigm of city management local governments regulate open access urban resources, such as streets, empty plots, and public parks in a top-down fashion of prohibitions and restrictions. Althoug citizen participation in urban development is increasingly considered to be important by city officials and experts, urban space is still a highly contested space. In many cities corporate control of urban space transforms the “small and/or public” into the “large and private.” Contestations over the right to be involved in urban development are at the heart of the many grassroots movements for reshaping cities which have emerged in recent years. Some of these movements demand the right to create and govern city spaces as urban commons – city spaces which are collectively governed by communities, irrespective of formal ownership. There are already projects that fit the definition of urban commons. Often they emerge as showcases which are initiated, tailored and facilitated by local government or architectural studios. Grassroots urban commons projects are still rare, because the development of such projects is a long lasting, complex process during which community members have to deal with a constellation of problems: project alignment with a municipality; poorly organized self-governance, a lack of resources such as funding, volunteers or space. Although urban commons communities differ from one another, all face these types of problems in a similar way; they often reinvent solutions because they have no effective mechanisms for collaborative creation and sharing. The proposed research will design a collaborative tool set for the urban commons domain, which will help the actors involved to solve before mentioned problems together. Similar tools already contribute to the success of other communities also working with commons, namely open source communities (e.g. groups of geographically distributed volunteers collectively working on the production of knowledge commons). The term Open Source Urbanism is shorthand for “open source urban commons co-production”, which we define as: “citizen-driven co-production of urban spaces as urban commons and their design documentation as freely used and shared knowledge commons”. 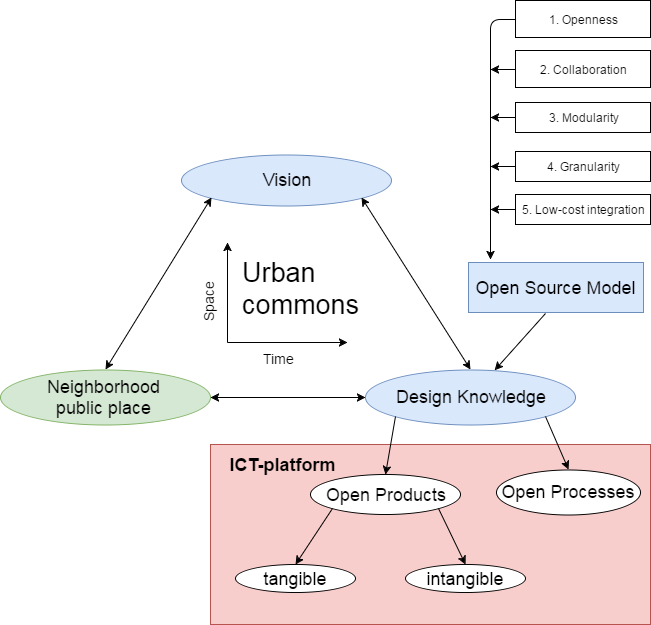 Open Source Urbanism is a local community practice facilitated by an ICT-platform for OSU-practice, which will help to collaboratively create open design knowledge (see the conceptual framework in the figure below). This research takes an interdisciplinary perspective, combining computer science and social science. Contributions to academic debates will be made by theorizing on urban commons, a phenomenon that, despite growing popularity, is still undertheorized in many aspects. Moreover, the proposed research aims to combine the concept of urban commons with the open source model of decentralized co-production in the form of an ICT-artefact. No such adaptation of the open source model has been made so far, although some scholars have argued for its possibility and even its necessity for increasing grassroots initiatives in urban development. 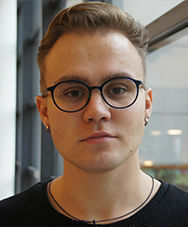 Sergei Zhilin is a PhD researcher at the Faculty of Technology, Policy and Management of Delft University of Technology, at the Policy, Organisation, Law & Gaming section. Sergei holds an MSc-degree in Computer Science and an MSc-degree in Urban Studies. His research focusing on self-organizing communities involved in bottom-up urban development. Before Sergei became a PhD researcher at TU Delft he worked in several software development companies as a web-developer and a CTO.